REMINDER THIS MEETING IS TOMORROW MORNING! If you can not be there please send your emails to City of Las Vegas Council Members and ask them to please pass this ordinance! On Nov 30 the recommending committee will hear the ordinance regarding pet stores. We absolutely need the community there to support this ordinance to make sure it is recommended to city council for passage. This item is open for public comment. Please add this hearing to your calendars. THE RECOMMENDING COMMITTEE WILL RECEIVE PUBLIC INPUT ONEACH ITEM OF LEGISLATION BEING CONSIDERED. THE RECOMMENDING COMMITTEE MAY,THEREAFTER, CONTINUE THE HEARING TO A FUTURE DATE OR FORMULATE A RECOMMENDATION TO THE CITY COUNCIL FOR PASSAGE, REJECTION OR AMENDMENT OF THE PROPOSED BILL. ANY MEMBER OF THE CITY COUNCIL MAY SUBSTITUTE FOR A MEMBER OF THE RECOMMENDING COMMITTEE AT ANY TIME. ITEMS LISTED ON THE AGENDA MAY BE TAKEN OUT OF THE ORDER PRESENTED; TWO OR MOREAGENDA ITEMS FOR CONSIDERATION MAY BE COMBINED; AND ANY ITEM ON THE AGENDA MAYBE REMOVED OR RELATED DISCUSSION MAY BE DELAYED AT ANY TIME. BACKUP MATERIALFOR THIS AGENDA MAY BE OBTAINED FROM LUANN D. HOLMES, CITY CLERK, AT THE CITYCLERK’S OFFICE AT 495 SOUTH MAIN STREET, 2ND FLOOR OR ON THE CITY’S WEBPAGE AT www.lasvegasnevada.gov. Our Mission is to offer safe and responsible services and programs to preserve the life, health, and welfare of animals. A non-profit registered 501(c)3 organization. Pet Awareness & Welfare Services (PAWS) is a non-profit organization located in Las Vegas, NV. We help pet owners and other non-profit organizations in need of financial support get necessary and affordable services for their pets. There are many charities and organizations that have been created to help pet owners when veterinary care becomes a financial burden or when they are unable to care for their pet. Please contact the organizations below if they fit your current situation. RedRover Relief provides financial assistance grants and additional resources so pet owners and rescuers can care for animals who need urgent veterinary care. Visit redrover.org/grants for eligibility requirements and application. RedRover also offers financial assistance for victims of domestic violence and their pets. To learn more about this program, visit redrover.org/domestic. The Pet Fund is a registered 501(c) 3 nonprofit association that provides financial assistance to owners of domestic animals who need veterinary care. Often animals are put down or suffer needlessly because their owners cannot afford expensive surgery or medical treatment. Companion animal owners must often make the difficult decision to put an animal down or neglect medical needs because of the costs involved. “Helping people help pets”. To better the lives of sick, injured and abused companion animals. We are dedicated to insure that no companion animal has to be euthanized simply because their caretaker is financially challenged. Provides financial aid for life threatening emergencies. From GE Credit, CareCredit is a personal line of credit that offers special financing and low monthly payment options, no up-front costs and no pre-payment penalties so you can keep your pet happy and healthy. BLESSED BONDS began in March of 2004 and merged with A.D.O.P.T. Pet Shelter in November of 2010. We have helped more than 900 pets of families experiencing a temporary crisis. BLESSED BONDS is dedicated to preserving the human-animal companion bond and promoting its value. We believe in keeping people and pets together. Our vision is to keep pets out of the animal welfare system and in homes where they belong. One of the top ten reasons people give up their pets is because of personal problems/medical crisis; for example, someone going into a hospital for 2 weeks or losing their home to foreclosure. This is where Blessed Bonds comes in. We offer temporary assistance to those who want to keep their animal companions but are having difficulties that interfere with their ability to meet their pets’ daily needs. If you require assistance, please contact us at (630) 355-2299 or blessedbonds@adoptpetshelter.org. Pet Food Corner – The mission of the Pet Food Corner is to assist unemployed and underemployed families who have trouble feeding and caring for their beloved pets. Pet Supply distribution occurs on Wednesday mornings from 9:30 a.m. to 12:30 p.m. C.A.R.E. and other local organizations support this area of the pantry with food and supply donations! CAFé is a pet food assistance program for low income pet owners. Food pantry participants may pick up food at the shelter at any time during regular business hours as well as on the last Friday of every month, from 1-2 p.m., at the Howard Area Community Center, 7648 N. Paulina, Chicago. Participants must be willing to get their animals altered in order to be eligible for pet food assistance. The PAWS Chicago Pet Food Bank provides emergency assistance to families facing unemployment, foreclosure, or other financial crises, thus enabling them to keep their pets. We provide pet food and pet supplies, such as cat litter, leashes, collars, cat carriers, and litter boxes until the family is able to provide these necessities on their own. In addition, owners can receive a voucher for free spay/neuter surgeries for their pet. Following is a comprehensive list of resources that offer financial assistance for pet guardians who are struggling, as well as senior citizens, people with disabilities and people who are seriously ill. If your pet needs medical care that you cannot afford, here are listings of state-specific programs that may be able to help you. California | Florida | Georgia | Illinois | Michigan | New Jersey | New York | Virginia | Washington | Washington, D.C.
Be aware that few, if any, organizations will pay for ongoing medication that pets will need for extended periods of time. It is unlikely that any one organization or program will pay for expensive procedures in their entirety. So, be sure to contact as many sources as possible. The grants may be very small, but they can add up if you get help from a number of sources. Try negotiating with your veterinary clinic for a better price or the ability to finance the cost of care over time. Also, consider getting price comparisons from other providers. CareCredit provides financing for veterinary care; check their website to see if you qualify. If possible, contact any possible sources of financial aid before procedures are done. Few sources are willing to pay bills for care that has already been provided. Most organizations take applications only through email or web forms on the Internet. If you aren ‘t computer-savvy, find a friend, relative or neighbor to help you. The inclusion of services, organizations or programs listed here is NOT an endorsement or recommendation. We cannot vouch for these programs, and you should check them out yourself before asking for their aid. In Memory of Magic is dedicated to ensuring that no companion animal has to be euthanized simply because his or her caretaker is financially challenged. The request must be made before the animal is treated. RedRover (formerly United Animal Nations) works to bring animals from crisis to care and to strengthen the bond between people and animals. The Pet Fund provides financial assistance to owners of domestic animals who need vet care. They also provide information about preventive care, pet insurance programs, and financial services to help prevent future emergencies. Note: All applicants are required to contact the Pet Fund by phone at (916) 443-6007 before applying for funding. Emergency funding is not available. The Pet Fund has a waiting list for those needing non-basic, non-emergency care. There are links for other funding organizations on Pet Fund’s website. Friends of Pets in Anchorage has a fund for emergency care and low-cost spay/neuter for residents of Anchorage. Call (907) 562-2535. Save Our Seward (SOS) Pets has emergency funding for rescued and homeless animals in Seward and a low-cost spay/neuter program. Animal Aid Network’s SAVE fund provides assistance for medical emergencies in the Valley Verde area. People are required to sign a contract stating they will pay back the money so that treatment for other animals can be funded. Funds must be approved prior to treatment. Cause Four Paws works to help southern Arizona pet owners when their pets are injured or acutely ill. The pet owner is asked to pay 20% of all fees and provide 20 hours of community service for a local Cause Four Paws charity partner. Call (520) 795-9951. For Pets’ Sake Best Friends Program provides financial assistance to seniors or special-needs residents of northwest Arkansas for pet medical care. They also have a pet food bank and can assist with temporary pet care during hospitalizations. Email forpetsake@hotmail.com. Actors and Others for Animals is a Southern California community-based organization serving the greater Los Angeles area. Among other services, the organization provides financial assistance for emergency medical procedures for those of limited income. Call (818) 755-6045. Four Legged Friends Foundation’s Sunny Day Fund provides veterinary assistance for low-income people in Los Angeles. Mercy Crusade in Oxnard offers low-cost veterinary exams. Call (818) 597-2926. Holiday Humane Society is a private hospital that offers some of the lowest-cost services in Los Angeles. They cover basic procedures only. Call (818) 765-8196. Pet Orphans offers a program for individual rescuers that helps primarily with spay/neuter, vaccinations and adoption events. They also have a Good Samaritan Fund to assist with medical emergencies, as funds are available. The Sam Simon Foundation provides low-cost or free non-orthopedic surgeries to low-income residents of Los Angeles. Voice for the Animals Foundation Helping Friends Program helps seniors and people with disabilities, terminal illnesses or fixed incomes to take care of their pets. Orange County: Animal Assistance League of Orange County has a referral program for vet care, vaccines and low-cost spay/neuter services. Call their 24-hour phone line at (714) 891-PETS (7387). Orange County: The Orange County SPCA’s Pet Rescue Fund provides financial assistance for homeless and rescued animals, as well as pets of low-income residents of Orange County. Call (714) 374-7738. Orange County: Rescuing Unwanted Furry Friends (RUFF) helps injured and ill pets in Orange County and provides medical assistance for pet owners and rescuers of stray or abandoned pets. San Francisco: Pets Are Wonderful Support (PAWS) provides assistance for pets of seniors and people with HIV/AIDS and other disabling illnesses. Denver area: PetAid Animal Hospital offers veterinary services to individuals, over 60 rescue and shelter groups, and nonprofit organizations that are in need of veterinary care for service animals or therapy animals. Boulder Valley: The Humane Society of the Boulder Valley’s CARE program provides medical care and spay/neuter surgeries at a discount to low-income clients. Call (303) 442-4030, ext 680. Colorado Springs: Harley’s Hope Foundation provides financial assistance with major/emergency/specialty veterinary care, financial assistance with behavioral training, short-term for care for animals living with temporarily incapacitated pet parents, and other services. Newington: Connecticut Humane Society’s Fox Memorial Clinic offers veterinary care for pet owners in financial need. Atlanta: Briarcliff Animal Foundation has a fund for the medical care of indigent and stray animals. Boise: The Idaho Humane Society STAR Fund operates a nonprofit veterinary hospital and provides a variety of low-cost services to the public. Chicago: The Anti-Cruelty Society provides veterinary services to low-income pet owners in the Chicago area. The Brown Dog Foundation provides financial assistance to low-income residents of Illinois, Iowa and Tennessee to help offset the cost of veterinary emergencies and treatment of chronic conditions. Cape Cod and the islands: The Sampson Fund helps sick and injured cats and dogs in need of urgent care. Angell Animal Medical Center-Boston offers financial assistance through MSPCA’s Pet Care Assistance program. The Michigan Humane Society operates three clinics and provides services to residents of Detroit, Rochester Hills and Westland. God’s Creatures Ministry Veterinary Charity Fund provides assistance with veterinary bills ($50 maximum). NY SAVE, Inc. serves the pets of New York City residents living in Manhattan, Brooklyn, the Bronx, Queens and Staten Island by providing funds to low-income pet owners whose pets need emergency veterinary care. Monroe, Livingston, Genesee, Wyoming, Erie, Niagara and Orleans counties: All 4 Pets West New Yorkprovides one-time grants to pay for medical care for pets whose caring, responsible owners are not able to pay due to low income, personal crisis or disaster. Portland: The Velvet Financial Assistance Fund, a program of Dove Lewis Emergency Animal Hospital, provides emergency vet care for low-income pet owners. Applicants must first apply for and use funds through CareCredit. The maximum amount is $750 per applicant. Lane County: Pro-Bone-O is a nonprofit organization that provides free veterinary services for the pets of people who are homeless or living in distressed conditions. The Animal Rescue League of Western Pennsylvania offers low-cost services. Centre County: PAWS of Centre County has a fund for medical costs of unowned, stray animals. Volunteer Services for Animals (VSA) is an organization of volunteers dedicated to animal well-being and the promotion of the human-animal bond through programs of education, advocacy and assistance. VSA provides financial assistance to pet owners for veterinary care. Call (401) 273-0358. RIVMA’s Companion Animal Foundation provides financial assistance to help cover the cost of veterinary care. Their website also features a list of agencies in Rhode Island that offer financial assistance to pet owners in need. Capper and Chris Save the Animals Fund, a program managed through Texas A&M School of Veterinary Medicine, may contribute up to 50% of the total cost of medical care, with a maximum of $1,000 per case. The animal must have a treatable disease or injury. Salt Lake County and surrounding area: Pet Samaritan Fund provides financial assistance to individuals unable to afford medical care for their pets. The Animal Welfare League of Arlington’s Veterinary Assistance Program makes small, no-interest loans to low-income pet owners who need emergency vet care for their pets but cannot afford the costs up-front. Loudoun County: Companion Animal Resource Effort (CARE) provides temporary assistance to residents of Loudoun County who are temporarily unable to afford to provide veterinary care for their companion animals. The Good Samaritan Fund at Washington State University’s College of Veterinary Medicine is used exclusively to treat ownerless or special-needs animals who, ideally but not exclusively, also present a teaching opportunity for the veterinary students. Lewis, Mason and Thurston counties: Concern for Animals provides financial assistance for spay/neuter and emergency vet care. Washington Animal Rescue League provides reduced-cost veterinary care and low-cost or free spay/neuter for low-income pet owners. Milwaukee/Ozaukee County: The Wisconsin Humane Society provides veterinary care at a reduced cost for low-income residents. If you have a specific breed of dog, contact the national club for that breed. In some cases, these clubs offer a veterinary financial assistance fund. To find the national club for your breed, try searching www.yahoo.com orwww.google.com, using the following search criteria: breed + national club (for example: standard poodle + national club). The Dog and Cat Cancer Fund works directly with veterinarians to help underprivileged owners get treatment for cats and dogs suffering from cancer. The Magic Bullet Fund provides financial assistance for tumor removal and certain types of chemotherapy for lymphoma. The Animal Cancer Therapy Subsidization Society is dedicated to bringing affordable modern veterinary cancer treatment to veterinary cancer patients in Alberta, Canada. They provide subsidies to dedicated pet owners as well as educate animal owners and veterinarians on the availability, uses and benefits of advanced cancer therapies in the treatment of veterinary cancers. Frankie’s Friends provides free or heavily discounted care for dogs enrolled in clinical programs of promising new treatments, and assists with the cost for dogs whose families cannot afford treatment. The International Association of Assistance Dog Partners (IAADP) has established an emergency veterinary fund to provide financial aid to U.S. IAADP partner members whose assistance dogs require high-cost veterinary intervention beyond their ability to pay. The California Department of Social Services Assistance Dog Special Allowance (ADSA) Program provides a monthly payment of $50 to eligible individuals who use a guide, signal or service dog to help them with needs related to their physical disabilities. 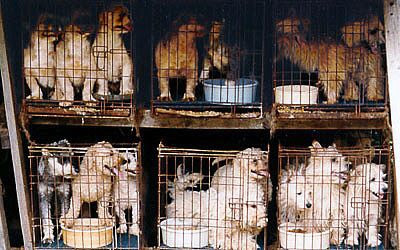 The allowance is to help pay the costs of food, grooming and health care for the dogs. This program, available only to residents of California, will provide these funds monthly toward the care of registered service dogs. Call (916) 657-2628. The Assistance Dog United Campaign, operated in association with the Assistance Dog Institute, helps people with disabilities find funding to purchase service dogs. Call (800) 284-DOGS (3647). San Diego: Helen Woodward Animal Center’s AniMeals program offers free pet food for the dogs and cats of elderly or disabled people throughout San Diego County. Marin: Marin Humane Society’s SHARE offers several programs to help pets of low-income seniors, persons living with HIV/AIDS and those receiving hospice services. Sonoma County: Pets Are Loving Support provides services to help people with HIV/AIDS keep their pets as long as possible. SPCA Florida’s Ani-Meals program provides supplemental food, supplies, vaccinations and spay and neuter services to animals belonging to elderly and home-bound clients. Pet Alliance of Greater Orlando serves the pets of seniors who live in Orange, Osceola and Seminole counties and meet specific criteria. Atlanta: Pets Are Loving Support provides free food, basic veterinary care and support to the pets of the elderly, critically ill or disabled. Chicago: Blessed Bonds provides help for pet owners when they are experiencing physical problems that make daily pet care difficult. Detroit: The Michigan Humane Society provides low-cost veterinary care, a food bank and other services to help people care for their companion and service animals. Burlington, Camden, Gloucester and Salem counties: PetPALS of Southern New Jersey provides services to the animal companions of people living with terminal, chronic or debilitating illness, or financially needy senior citizens. Rochester area: The Humane Society at Lollypop Farms provides assistance for seniors on fixed incomes and also maintains a pet food bank for seniors. Loudoun County: C.A.R.E. is dedicated to providing pet owners in need with financial assistance, goods and services to enhance the quality of life for their companion animals while keeping pets in loving, caring homes. They provide assistance to citizens who are elderly, seriously ill, injured, or in a situation where they cannot afford to care for their pets. King County: The Seattle Humane Society provides services that help people maintain a lifelong commitment to their pets. Low-income senior citizens can receive a supplemental supply of pet food and people disabled by AIDS can receive pet food, supplies, grooming and veterinary care. PETS-DC is dedicated to improving the health and well-being of people living with HIV/AIDS or other disabling conditions and their companion pets. They provide public health education, exercise, pet food, veterinary care, grooming, foster care and adoption services at no cost. Most veterinary schools treat pets at a reduced cost. Click here to locate vet schools accredited by the American Veterinary Medical Association. Decorate a few donation coin cans with an appealing photo of your pet and a brief explanation that money is needed for medical care. Ask your veterinarian if you can put one in the office. Put one out on your desk at work, and ask a friend or two to do the same. This sounds old-fashioned, but it really works! Neighborhood yard sale: Ask neighbors, family, co-workers and friends to contribute items. The event can be publicized in the local newspapers and by posting flyers around town. You’ll need a place to store the items, and there is some time involved in planning, publicizing and organizing, but a single neighborhood yard sale can raise several hundred dollars. Bake sale: Another simple, low-risk way to raise money is to organize a bake sale. Ask neighbors, family, co-workers and friends to contribute baked items. To be successful, the bake sale must be in a high-traffic area, where many people will pass by. Create a Facebook page to get the word out online about your pet’s needs. Click here to learn the basics of Facebook, how to create an appealing personal profile page and how to find friends and attract others to your page. Post messages to community forums for veterinary care fundraising purposes, such as In Memory of Magic’s community. Post messages to e-groups that allow the posting of fundraising requests, such as Yahoo! Groups. Consider purchasing pet insurance for your pets. For information about pet insurance, click here. The Humane Society of the United States (HSUS) does not provide direct financial assistance to pet owners for veterinary or other expenses, but they do have a page on their website where they offer additional suggestions for what you can do if you are having trouble affording veterinary care. Below is a comprehensive list of pet financial aid-related organizations. Some are listed nationwide, and some are listed alphabetically by state. NOTICE: If your animal requires emergency veterinary care and you cannot afford treatment, click here to contact groups or veterinary schools that may help. If you are unsure what qualifies as emergency veterinary care, call your veterinarian and describe the symptoms. Joshua Louis Animal Cancer Foundation: Under the JLACF’s bylaws as approved by the IRS, grants can only be provided for pets under the care of a board-certified veterinary oncologist.